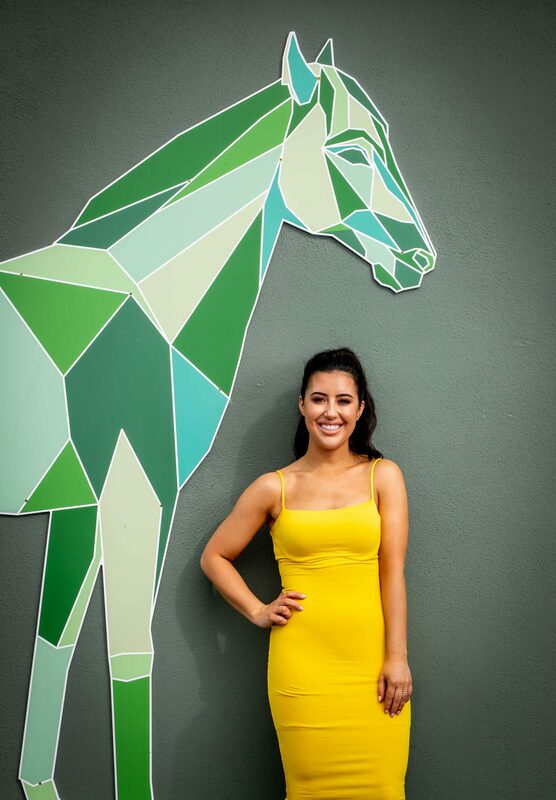 Radio and TV Broadcaster, Lottie Ryan was announced today as the fashion judge for Naas Racecourse’s Royal Ascot Trials Day which will be held on Sunday, 19th of May at the Kildare track. The announcement was made at Kildare Village at a glamourous afternoon tea attended by some of Ireland’s leading fashionistas and sports personalities. Lottie is one of the voices on the team at Breakfast Republic, the early morning breakfast show on 2FM and also presents the Entertainment News on RTÉ 2FM. A prize worth over €8,500 and fit for a queen will be on offer for the Best Dressed Lady on Royal Ascot Trials Day, with the winner granted an overnight stay with dinner in the Manor House at Palmerstown House Estate with 19 of her friends. If that wasn’t enough, the prize also includes a €1,000 shopping spree in Kildare Village, home to some of the world’s most luxurious and exciting fashion brands. Lottie, who is known for her diverse sense of style which can range from polished red carpet elegance to boho chic will add a new dimension to the Lady’s Day Competition. 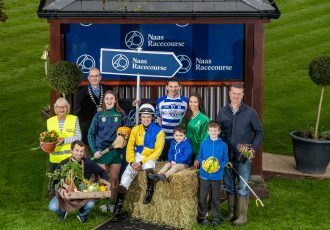 ‘Breaking the Mould’ is the theme for this year’s fashion competition at Naas Racecourse and the concept behind it is that racing fashion does not have to be traditional and predictable. The theme also takes in the stories of several women in sport and aims to show how young women are continually pushing the boundaries of what can often be male dominated sports. As part of the Breaking the Mould theme, Lottie interviewed a panel of four women in sport who have broken the mould in their respective fields including Kildare GAA football star, Roisin Byrne, who plays for Sarsfield’s and County Kildare, professional boxer Katelynn Phelan, racing industry personality, Orla Murtagh and trainer Jessica Harrington. Roisin started to play football at the age of 4 and began representing her county at the age of 10. She was called up to the senior panel at the age of 16 and was one of the stars of the Co. Kildare team that won the All-Ireland Intermediate title in 2016. Her dedication to her sport and her inherent leadership ability saw her obtain the position as captain in 2018. Roisin’s perseverance to excel in her sport has allowed her to shine a spotlight on ladies football. Katelynn Phelan is an Irish, professional boxer and former amateur 10-time national champion, world and European bronze medallist. At just 18 years of age Katelynn has won multiple boxcup golds and silvers and has represented team Ireland since she was 14. Katelynn is currently training out of St. Brigid’s boxing club located in the heart of Kildare town. Katelynn also became Ireland’s youngest-ever female professional boxer after signing on the dotted line with Assassin Boxing. The younger sister of pro boxer, Allan Phelan, she is the first female under 30 to turn pro since trailblazers Deirdre Gogarty and Deirdre Nelson in the 1990s. Her debut professional fight was broadcast by TG4. Within seconds of getting out of the ring after defeating Monika Antonik in her first paid bout the Kildare welterweight found herself in role model territory. Upon Katelynn’s return to her boxing club, she was blissfully unaware of the mould she had broken and how she had inspired so many young girls. It was only when the younger girls ran up to her to say they wanted to do what she did when they were older did she realise that sport and women in sport can be so powerful and inspirational. Katelynn’s decision to turn professional will see her follow in the footsteps of her own hero, Irish legend, Katie Taylor. Also, on the panel was Orla Murtagh, wife of champion jockey turned trainer Johnny Murtagh. Orla now runs the training operation alongside her husband while separately she herself is the owner of several successful horses. She is a savvy woman in sport who is also well known for her great sense of style. Orla and Johnny have five children: Caroline, Charles, Lauren, Grace and Tom. Her daughter Caroline was the first female Apprentice Derby winner in Ireland. Lauren helped Kildare Minors win an All-Ireland B Final in 2018, with her heroic defending leading her to win a player of the match award. Charles and Tom are dedicated rugby players and Grace plays for Kildare on the u/ 14 County team. Trainer Jessica Harrington provided an interesting insight into her working day and spoke about her life in racing and her life as a woman in racing. 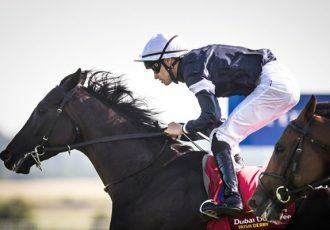 Many champions have come through the ranks of her training facility at Commonstown Stables and Jessica alongside Emma, Kate and her team continue to source, develop and nurture Grade 1 and Group 1 winning horses for owners great and small. This is a yard where some of the most remarkable feats in racing history have been made. With over 80 horses in training, Jessica and her team are all kept on their toes throughout all 12-months of the year. A formidable woman, Jessica Harrington is one of the most inspirational people in horse racing and has provided great encouragement for so many young women in the industry. The guests at the launch included Maureen Bergin, Tess Purcell, Michelle Murphy and Valerie Forde, of Kildare Village, Linda Blanchfield of Palmerstown Estate, Jackie Donohoe and Niamh Byrne of Naas Racecourse and Anna Fortune who was representing the media partner, The Kildare Post. Also, in attendance was Chairman of Goff’s Eimear Mulhern, fashionistas Faith Amond, Bernie and Dawn Leadon Bolger, milliner Aoife Harrison and Aileen O’Brien of O’Brien PR who was the MC on the day.